“I’m the UFC double champion, right?. I have bosses in the back and I’m talking about this guy because I have too. I’ve moved past that guy. I mean, I went about my business. I went and won another title. Now, this guy’s suspension is up, so we’ll see what happens. I think people get excited, people get excited about the prospect of us fighting again, but I’ve got a fight with Brock Lesnar. Why would I look back? Why would I look back to [Jon] Jones now when I’ve got a fight? Obviously, as a competitor, I want to fight the guy whose beat me twice, but I’ve got a fight. Why go back? I’ve got a bigger fight with Brock Lesnar, why should I go back? The big news of the day came just a matter of hours ago as it was announced that Jon Jones is essentially back as he’ll be eligible to fight on October 28. 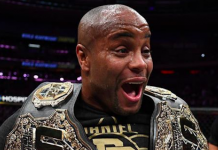 A party that may have some interest in all things related to Jones is, of course, the UFC heavyweight and light heavyweight champion Daniel Cormier. Cormier’s lone career loss came at the hands of Jones in January 2015. 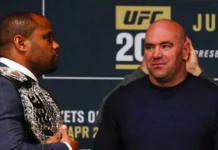 In July 2017, Cormier initially suffered the second defeat of his career which was also to Jones at UFC 214. 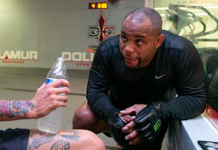 However, shortly after the fight, it would be announced that Jones had tested positive once again for banned substances resulting in the fight being changed to a no contest. Which is what has led to his current suspension. 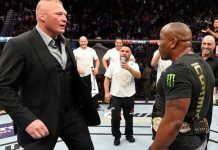 Although Cormier shared the interest in still defending his light heavyweight crown despite also becoming the heavyweight champion, it seems that he has changed his tune as he’ll continue to wait for Brock Lesnar who himself will be eligible for return in January. 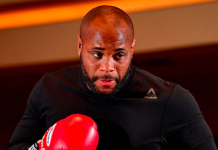 Cormier plans to retire in March.